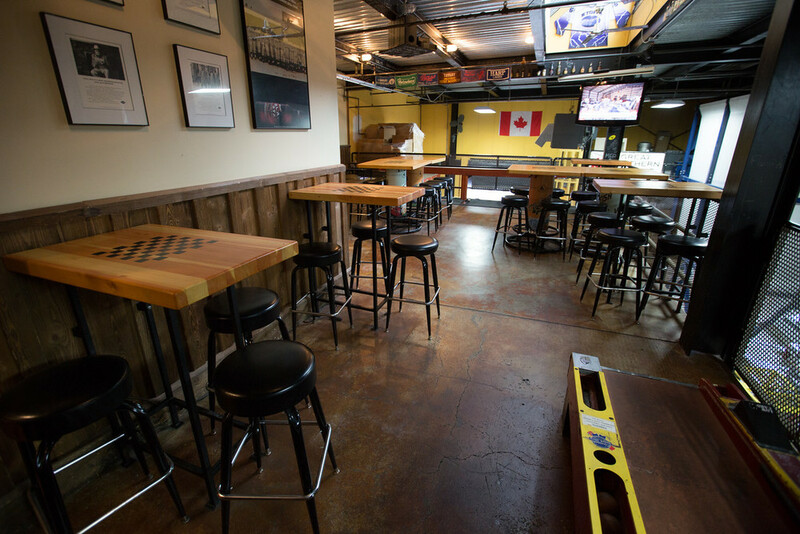 Located in the heart of downtown Whitefish, the Mezzanine at the Draught House is a prime spot to host your next party. The Mezzanine provides a fun, casual and unique environment for your beer-loving guests. 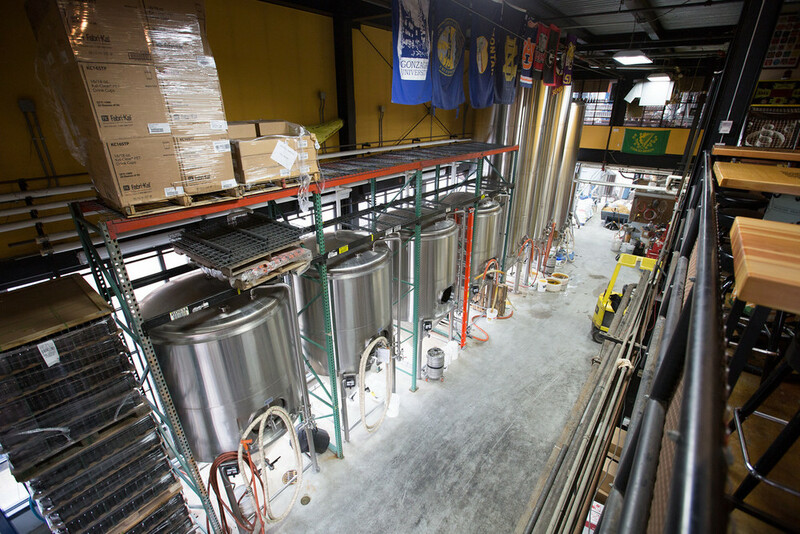 The space has an industrial and open feel, as it overlooks the brewery floor from the second floor. It has a 50 person standing max capacity and 30 person seating max capacity. Rental of the Mezzanine allows for a private space for you and your guests without the intrusion of other Draught House patrons. Although the space is for your private use, it does not preclude you & your guests from making use of the entire Draught House as well. Click here for a virtual tour of the Mezzanine space. All of our fine ales and lagers will be available for your guests to enjoy at the Draught House. Rotating red and white wine options are also available. We are an 'order at the bar' establishment. Other than occasional clean up and check-ins, the Mezzanine will not receive special wait staff. A "Table Service" option is available at an additional hourly rate. If table service is not requested, guests are responsible to order all beverages and food at the main bar down the hall themselves. Due to our beer & wine license, liquor is not allowed on the premise. A delicious, local menu is served up at the Draught House kitchen. Click here to see what is currently on our menu. Prior to the party, arrangements can be coordinated with the Draught House for your menu selection. You are more than welcome to bring your own food or have your event catered. However, you are responsible for your own setup, service, linens, plates, silverware, and anything else associated with food. In the case that you bring in outside food services, please provide details to the Draught House in advance of your rental. Let us know if you need any suggestions for caterers! For seated meals, we’d recommend 30 guests maximum. Please call Jordan at 406-863-1000 (extension 9) or email Jordan@greatnorthernbrewing.com to make your reservation today.